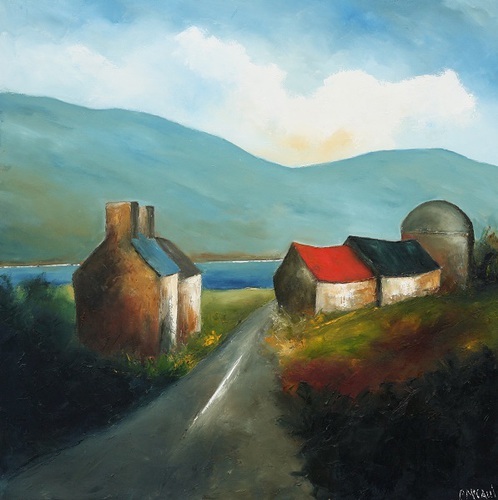 Kidogo Arthouse presents 'Stories of Home', an exhibition of original oil paintings and hand finished enhnaced limited edition prints by Irish artist Padraig McCaul. This will be McCaul's first time exhibiting in Australia. 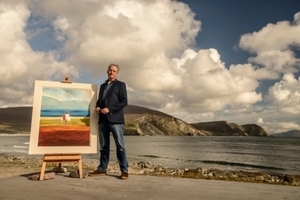 Home for Padraig McCaul is Achill Island, located off Ireland’s western seaboard. 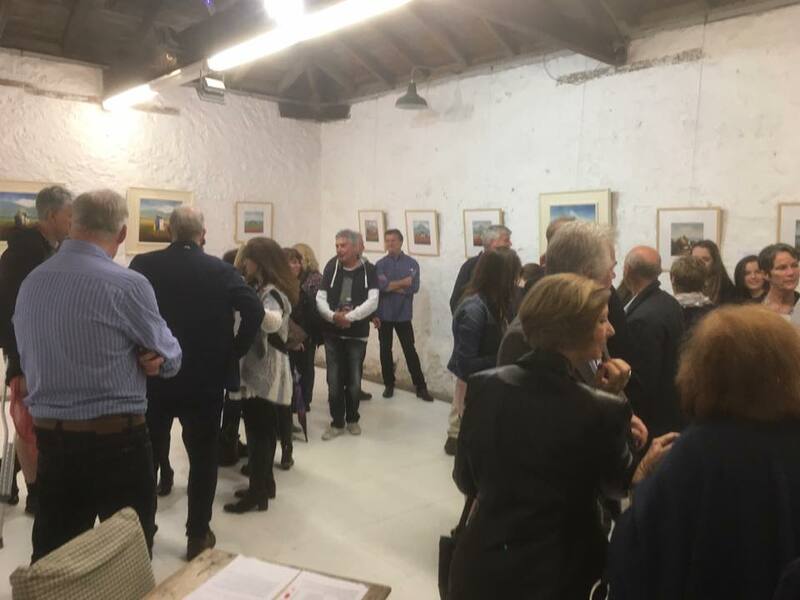 A place which has had a profound influence on his paintings, which are inspired by the natural beauty and colour of the surrounding landscape. Home is also that special place that he shares on Achill with his wife Anne and their three children, under the shade of Slievemore mountain, minutes from Silver Strand beach and the Atlantic ocean. 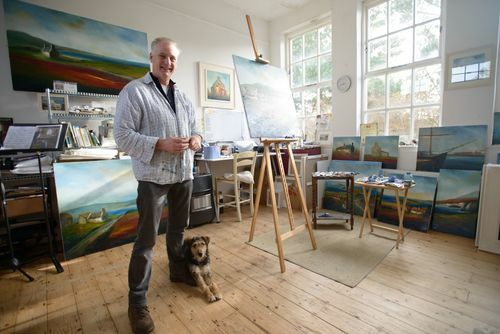 This collection of paintings and enhanced limited edition prints are drawn from this place called Home and include images of family life on the island, old farm houses, roads and country lanes in simple, uncluttered, coloured filled compositions. 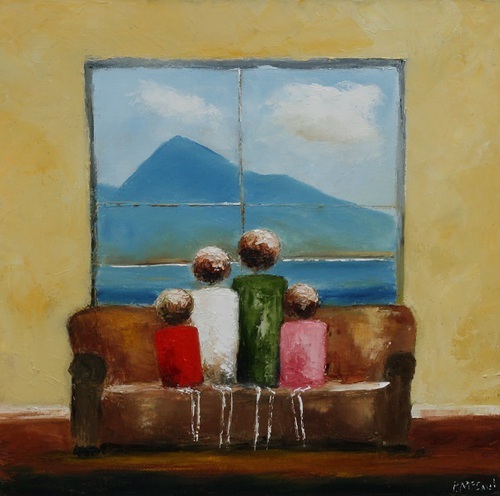 Since moving to Achill McCaul's evocotive paintings of the west of Ireland have continued to evolve and now include more figurative work, sometimes based on, but always inspired by his own family. 'My figures are inspired, in part, by the drawings my own children make. 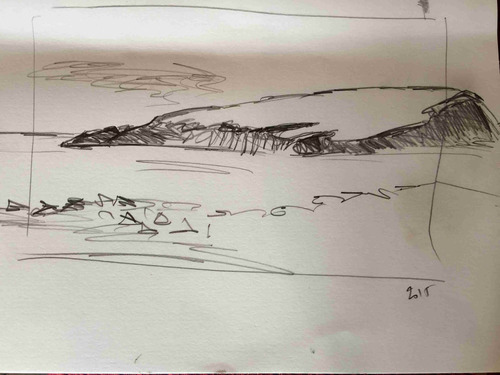 The simplicity and minimalism of a 4 year old's way of drawing seems to work well with my landscapes! I like to think that I am using their visual language to represent them in my paintings'. The other major influence on his figurative paintings has been Australian artist Sidney Nolan, an artist that has captured the uniqueness of the Australian landscape in his paintings of Australian legends, in particular the Ned Kelly series which was on display in the Irish Museum of Modern Art in 2012.